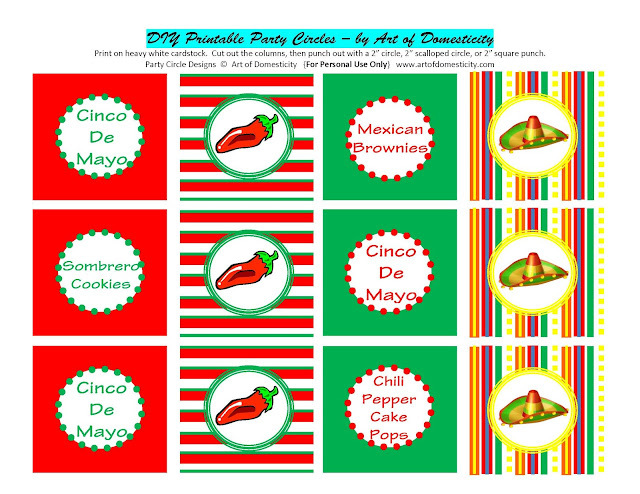 I also designed FREE coordinating printables for you to download!! 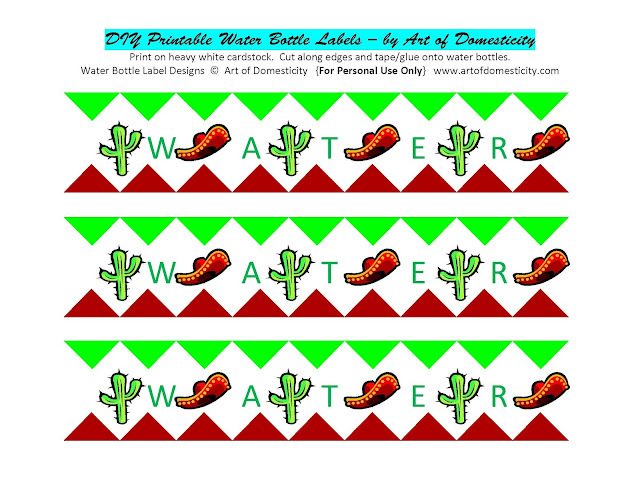 Party Circles for food labels, cupcake tags, and decor tags; Water Bottle labels; and a Party Banner. To download these FREE printables, click on the picture below and print on an 8.5" x 11" piece of heavy white cardstock. 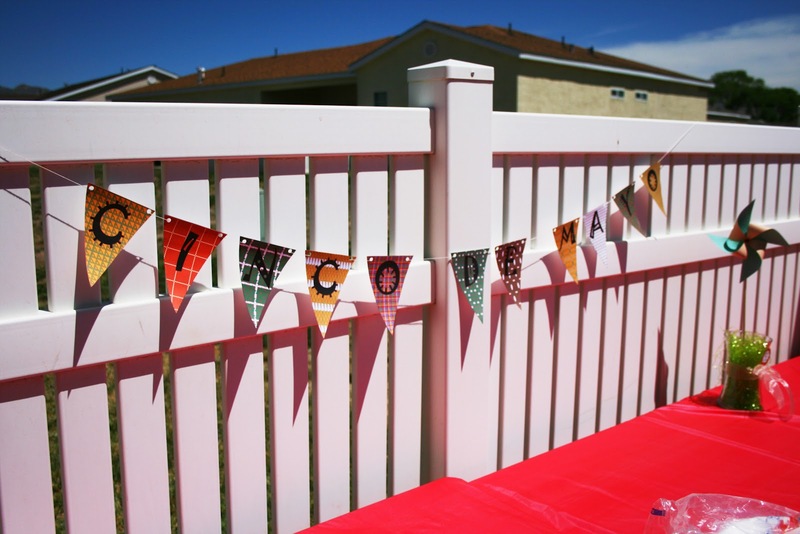 Click here to download the Cinco De Mayo Party Banner too!